Since getting here, I’ve realized that I need to take this three-game series against the Royals and completely remove it from the context of everything that has come before. This allows me to enjoy the game regardless of the outcome. This is just baseball. If you view last night’s game separately from the season, the Brewers actually played it pretty close. Greinke was his usual dominant self despite the fanfare of his return to Kansas City. I’ll have more on the Greinke situation later – he had some very interesting postgame comments – but he didn’t seem at all fazed by the media and fan attention that inevitably came with his first start at Kauffman since he forced his way off the Royals. 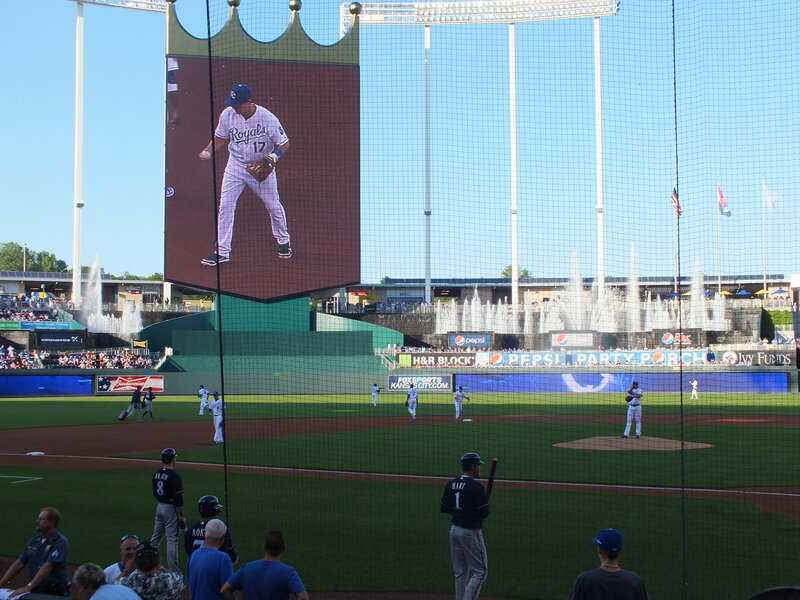 Greinke allowed only one run, a leadoff homer by Alex Gordon. A second run – and all that the Royals would need to win – was given up by Francisco Rodriguez. And that’s it. Two earned runs. Not a bad day of pitching. The Brewers offense sputtered against Luis Mendoza, who was clearly on his game. Still, the Brewers had shots. Ryan Braun was gunned down at home plate on a perfect throw by Gordon in left field in the seventh, and the Brewers had runners in scoring position in both the eighth and ninth innings. I wish I could say there is some larger lesson to take away from a close, one-run loss against one of the worst teams in baseball. But the reality of it is the Brewers just have to take it one game at a time. And at this point, I think that’s probably how the fans should treat the season too. This entry was posted in News and tagged Alex Gordon, Kansas City Royals, Kauffman Stadium, Ryan Braun, Zack Greinke. Bookmark the permalink.